 Medical Relief International is UK charity supported by doctors providing food and medical aid, care and educational support to some of the world’s most vulnerable people. Our vision is to be the foremost Medical Relief charity in the UK providing assistance to those affected by war, natural disaster or humanitarian crisis. We provide medical and humanitarian relief on the basis of need regardless of race, religion or geographic boundary. We work directly through health care professionals and partners on the ground to deliver and oversee our projects. We answer all reasonable questions about our fundraising activities and costs involved. If we cannot resolve your complaint, we accept the authority of the Charity Commission to make a final adjudication.